We might want to drink a tea for its flavour qualities, but at the same time we can be aware of its benefits and in particular its polyphenol content. One of the varieties with the most antioxidants is TRFK 306/1. 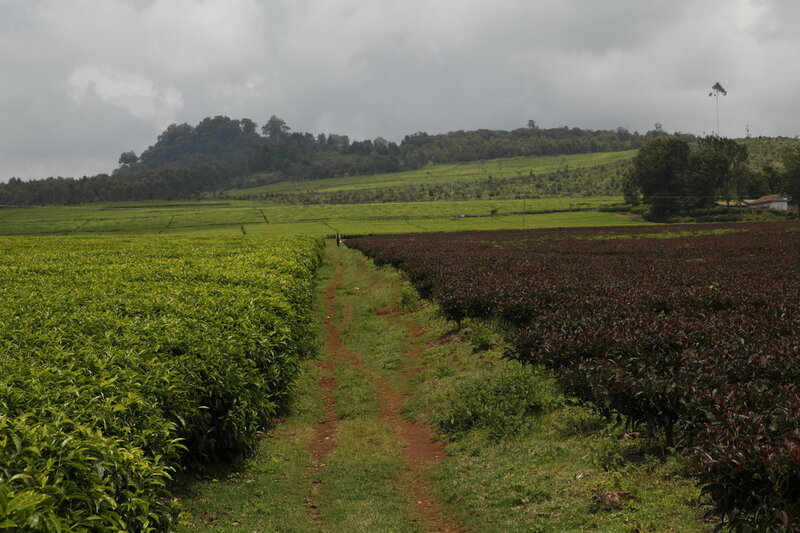 It was developed by the well-known Tea Research Foundation of Kenya (TRFK), which I have visited. 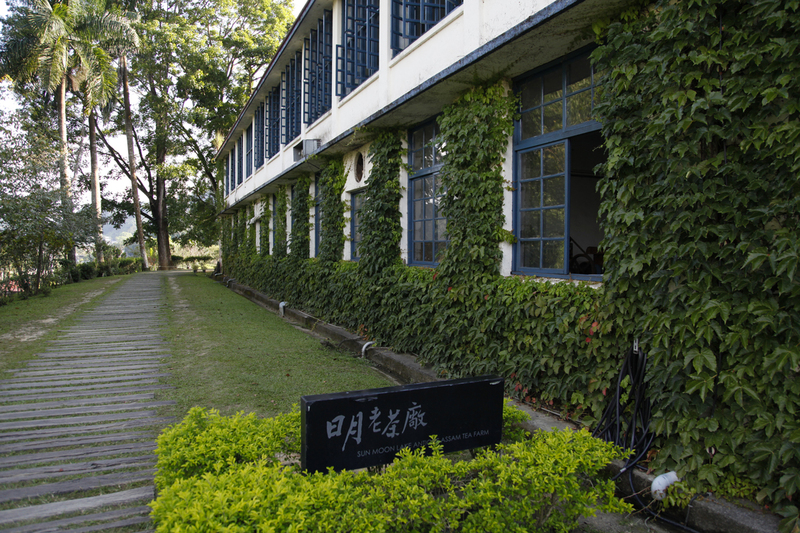 What is special about this variety, in addition to its polyphenol content, which is 1.5 times higher than other teas, is the colour of its leaves. You can see here, on the right, their lovely purple hue. Now that the Darjeeling First Flush season is well underway, today I’d like to introduce you to my favourite tea plant in this region. Its name is AV2, short for “Ambari Vegetative 2”. 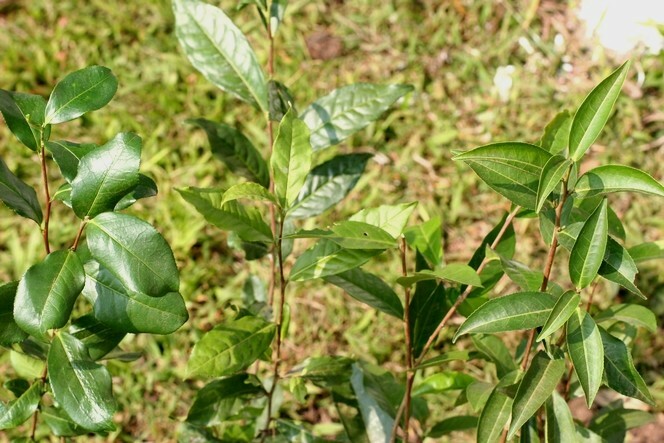 Despite its slightly spindly appearance, this cultivar produces the best teas. I’ve just bought a single lot, Puttabong DJ7 “Clonal Queen”. Its producer reserves this prestigious name for lots plucked exclusively from AV2 plants. So this is not a blend. It has remarkable delicate aromatic notes that are both vegetal and floral. In the same way that wine can be made using different grape varieties, tea comes from different plants, each with its own characteristics. 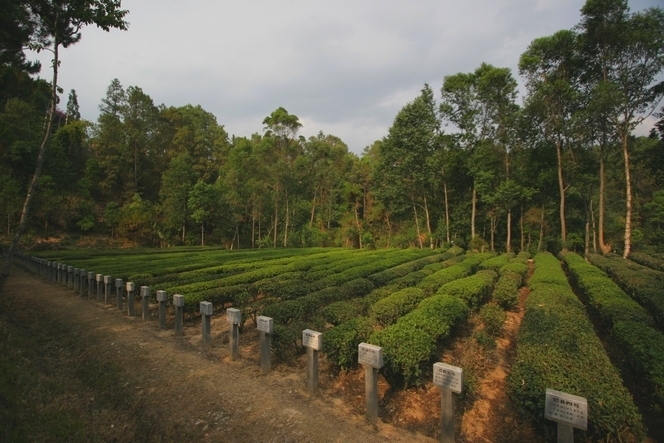 In this photo you can see the main cultivars used in the Darjeeling region (India). When a particular lot of tea is made solely from these varieties, Indians call it “clonal”. 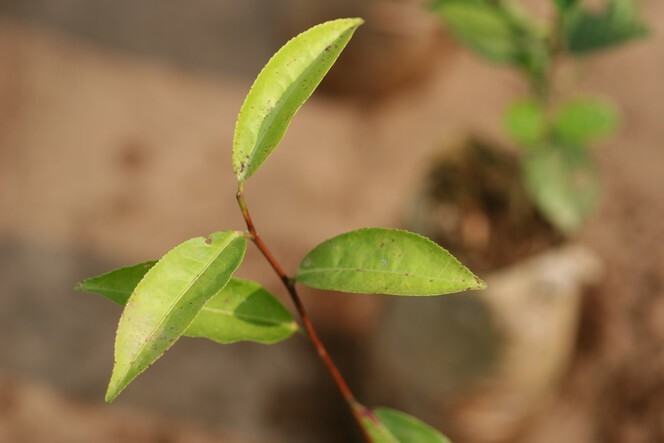 The word “clonal” on a label does not mean the tea comes from a cloned plant, but simply that the leaves were harvested from very specific cultivars. Some of these cultivars have been developed by an agronomic research institute and are known for their excellent quality and flavour. 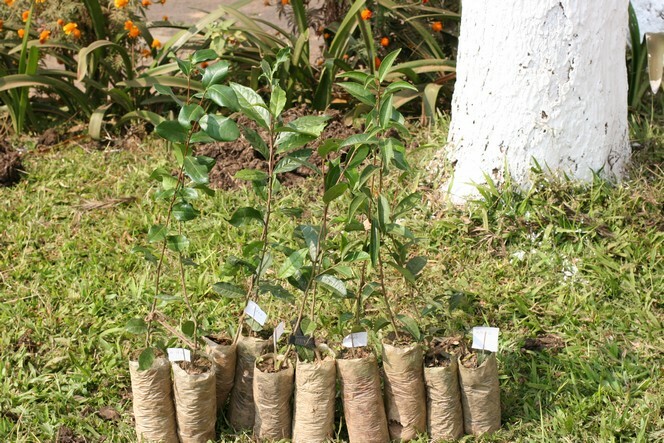 While all tea plants belong to the camellia family, you know that there are different cultivars within that family. 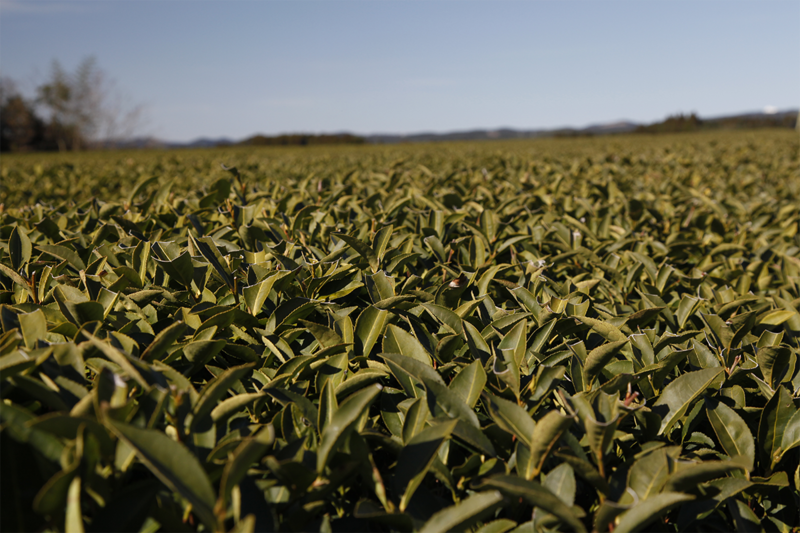 Here in Japan, the tea plant most commonly grown is Yabukita. It accounts for 85% of the tea crop, unlike in other tea producing countries, where many different varieties cohabit. 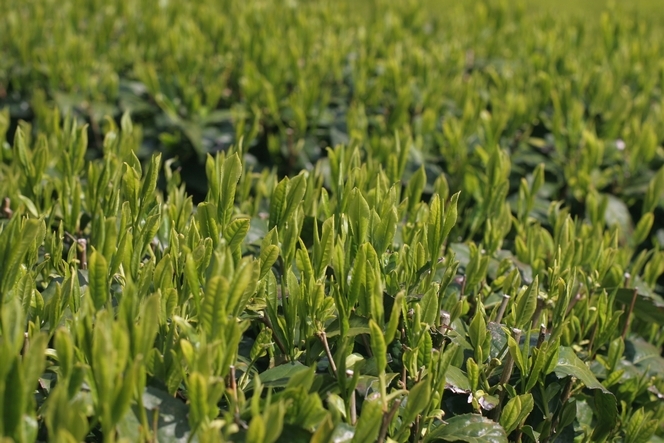 Yabukita is easy to recognise with its long, straight, intense green leaf. It also has its own way of growing, very straight, reaching up for the sky.